The incident began as passengers boarded the aircraft. The four hijackers were dressed as Karachi airport security guards and were armed with assault rifles, pistols, grenades and plastic explosive belts. At about 6:00 a.m., the hijackers drove a van that had been modified to look like an airport security vehicle through a security checkpoint up to one of the boarding stairways to aircraft. The hijackers stormed up the stairways into the plane, fired shots from an automatic weapon, and seized control of the aircraft. Flight attendants were able to alert the cockpit crew using intercom, allowing the pilot, co-pilot and flight engineer to escape through an overhead hatch in the cockpit, effectively grounding the aircraft. During the following 16 hours, Zayd Hassan Safarini, the Jordanian leader of the hijackers, demanded the return of the flight crew to fly the aircraft to Larnaca, Cyprus, where he wanted to secure the release of Palestinian prisoners being detained in Cyprus. During negotiations between Safarini and Pakistani authorities, Safarini threatened to kill all passengers. Four hours into the hijacking, one of the passengers was shot and pushed out the door onto the tarmac below. As nightfall arrived, the hijackers herded the passengers and crew members into the center section of the aircraft. The four hijackers opened fire on the passengers and crew, and threw grenades among them, killing almost 20. Most of the survivors escaped through two doors of the plane which were forced open when the firing began. Pan Am Captain Hart Langer was in Hamburg at the time of the hijacking and received word that the hijackers were demanding a crew to fly them anywhere they wanted to go. Below are his recollections of what happened in excerpts from his essay “Karachi Hijacking – Rescuing a 747” in the book Pan American World Airways – Aviation History Through the Words of its People, published by BlueWaterPress. 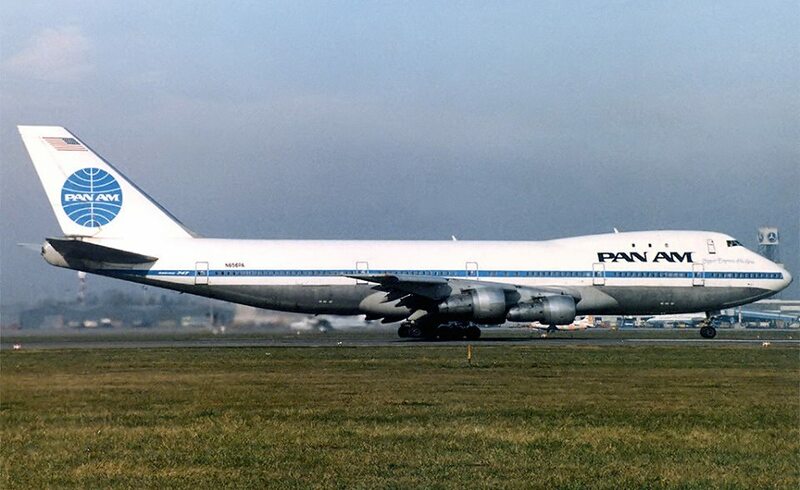 ” * * * A 747 without a crew was useless to the hijackers, and they demanded that Pan Am provide an Arabic-speaking crew to fly them where they wanted to go. Captain Jim Duncan (System Chief Pilot), through his contacts in IATA, called Captain Jazza Ghanem, the Vice-President of Flight Operations at Saudia (Saudi Arabian Airlines) to see if they could help out. Captain Ghanem was willing, but unfortunately was overruled by top management at Saudia. “As it turned out, the APU (Auxiliary Propulsion Unit) that was supplying electrical power to the 747 in KHI had a small oil leak, and the Tech Center at JFK had predicted exactly when it would shut itself down and stop providing power to the 747. When it finally happened, the airplane went dark, and the hijackers thought that they were under attack. They herded all the passengers into the overwing area, began shooting people at random, and set off numerous explosive devices. At that point, the Pakistani army did indeed attack the airplane and finally overpowered the hijackers. “At the time, I was Gen Mgr of Pan Am System Control and thus ran the Emergency Command Center (NYCOZPA) dealing with this flight. I well remember Hart Langer and Ed Cywinski agreeing to go to Karachi to fly the aircraft out with the hijackers if that became necessary, a decision on their part that cements them in my mind as the bravest people I’ve ever personally known. They were, in fact, both in New York and I believe we got them last minute seats on as Swissair flight to Zurich with a connection from there to Karachi, although my memory on the particular flights involved may be fuzzy. “With the Command Center up and running, we were tied into the US Government Emergency Operations Center in Washington and also with Pan Am stations throughout the region. We also had a direct link to Karachi via an open phone link into the Lufthansa (I think) station manager’s office because that office had windows overlooking the aircraft on the tarmac. We were in direct connection through that office though the entire event and got the word first hand when the APU died and the aircraft went dark, leading to the explosions and shooting onboard. During the hours of stand-off, Pan Am station and operating management were dispatched to each of a large number of airports around the region that we thought the hijackers, if they ever got airborne, might choose as a destination. We also were back and forth with the US State Department and Military at the US Government Emergency Operations Center, providing information that was to be used to prepare a Delta Force team if the decision was made to try and free the hostages. 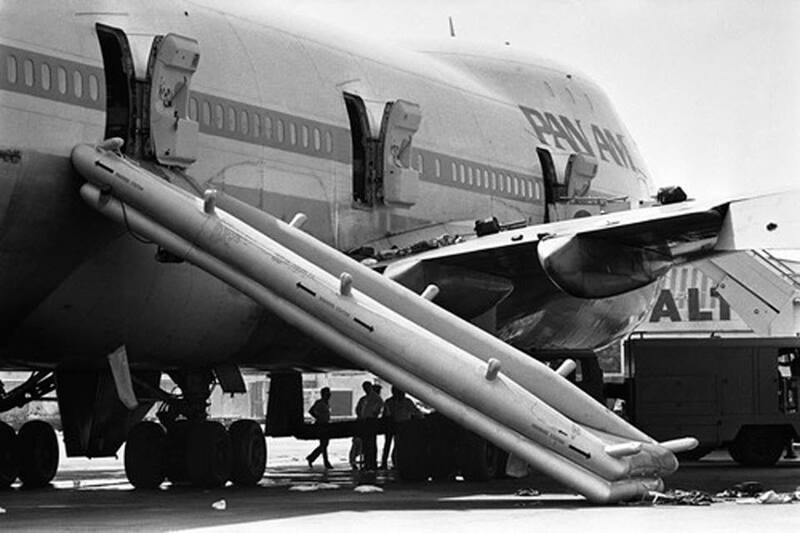 “It was a long night and next day at JFK and many pieces of it remain in my head in only fuzzy fashion, but one part that I do remember was after the aircraft was retaken and as the passengers were being given treatment and otherwise helped, we arranged the flight of two Pan Am 747 aircraft into Karachi to bring the passengers and crew members back to the US via Frankfurt. During the Frankfurt stop, the badly injured passengers and crew were brought to the US military hospital there for treatment. As these flights were being prepared and boarding priorities were being established, I took a call over the US government connection from the head of the FBI team that was just starting to investigate the who, what, why and how of the hijacking. The first words out of his mouth were about how the FBI was commandeering the upper deck lounges on both aircraft and how their teams planned to board both aircraft in Frankfurt and use the lounge to conduct interviews of all of the passengers and PA 73 crewmembers on both flights during their passage back to the US. He wanted names and details and directed that Pan Am set up interview schedules for everyone interviews and, essentially, provide staff service to the FBI throughout the flights. I quickly said no, that the passengers had been through serious trauma and anguish and we were not going to add to that as we brought them home. 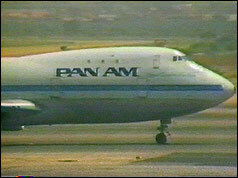 Further, the well-being of those passengers was the first and only priority of the Pan Am staff on those aircraft. The conversation then through several stages of increasing noise and argument leading to my final phone statement that Pan Am would prevent the FBI agents from even getting either of the flights to pester our passengers and that they (the FBI) could meet with the passengers after we had brought them safely to the US – upon saying which, I hung up the phone. In the end, no FBI interviews took place onboard, although we did tell passengers of the FBI interest in speaking to them and helped some volunteering passengers to meet with the FAA at a JFK hotel after their arrival. I must admit to worrying for some time after PA73 whether I had that night put myself on an FBI list somewhere for special treatment should I ever happen to stumble in their direction. “In the aftermath, there was great concern about the ongoing state of mind of Pan Am crews throughout the system on the new risks of hijacking. Karachi was possibly the first time that a hijacking raised the possibility of crews and passengers finding themselves on a death flight – something that became all too real on 9/11. Pan Am thus developed a campaign presenting all Pam Am crews with a detailed story of what the company had done to support the crews taken at Karachi. A centerpiece of that was a 30-minute video-taped reenactment of the actions taken at NYCOZ at JFK during the event, narrated various by me, Jim Duncan and Hart Langer. I still have that tape on a shelf in what my wife calls my personal Pan Am Memorial Shrine, aka my basement office. Pan Am obviously had a special place in international aviation – not only for its accomplishments, but because it represented the U.S. in such a prominent way for both Americans and those who wanted to attack America too. Thank you for keeping the history alive! Thank you, Doug. I have a lot of stories from Pan Amers that I plan to use. 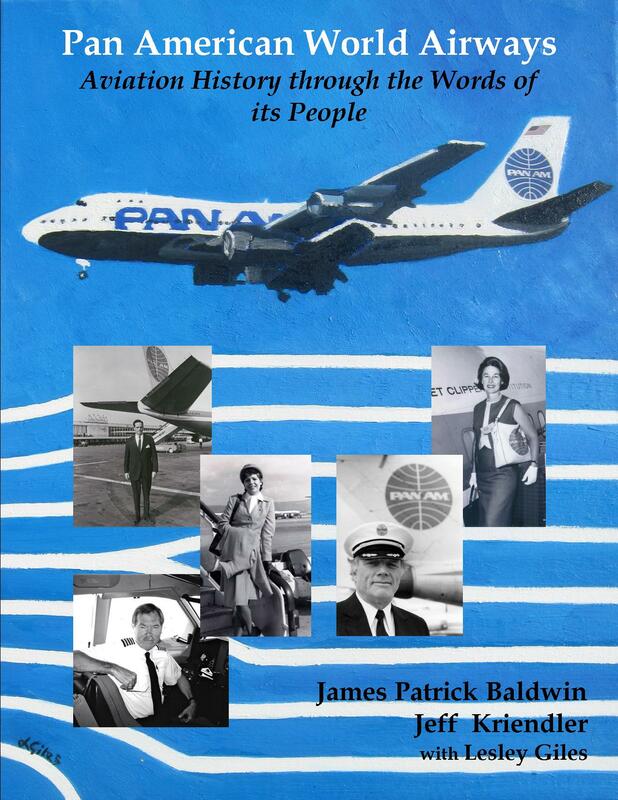 The “Snow Leopard” story I am posting is also Pan Am related as it chronicles the Pan Am Spirit in a difficult situation. Part Three is coming out tomorrow. Jaime..my name is Deborah Deason and I am a UAL flight attendant. I was a service instructor for Pan American based in Bombay from January-June 1986, training and flying with our foreign nationals from India. The crew involved in the Karachi incident were my former students. Coincidentally, I just mailed my pictures of these flight attendants to Romlee Stoughton and he scanned them for my FB account! I have several pictures of Nerja, the lovely purser who lost her life in the tragedy. If you would like any further info, feel free to contact me at Deborah.deason4@gmail.com. Thanks, Deborah. I recently sent you an email about my doing a story in this series about the Indian nationals. Also I was on a flight with Kenyan national as FAs, and could a similar story on them as well..